Unfortunately not all Disputes and Disagreements Between Landowners and Gas and Pipeline Companies can be Resolved Amicably. Although Many Oil and Gas Leases, Pipeline Agreements and other Gas Development Contracts Mandate Arbitration in the Event of a Dispute, Many Other Agreements Require that Disputes be Resolved in the State or Federal Court System. The Clark Law Firm, PC has extensive courtroom experience in both the state and federal court systems. 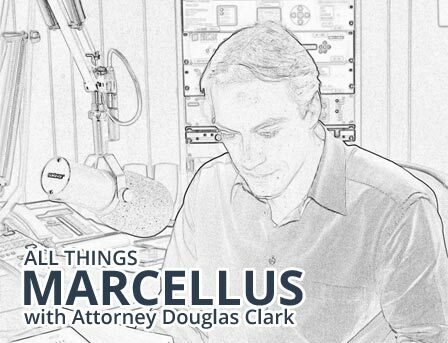 Attorney Doug Clark has served as lead and solo trial counsel in both state court and federal court trials. Should you have a dispute or disagreement with a gas or pipeline company and your gas lease or other agreement requires litigation in the state or federal court systems, you need an oil and gas attorney with substantial courtroom experience. Attorney Doug Clark is Pennsylvania’s Landowner Lawyer, and Doug has the significant courtroom experience you need to effectively represent you in any dispute or claim against a gas or pipeline company in either the state or federal court systems. Contact Us Today! We would like to express our deep appreciation to the Doug Clark Law Firm for the excellent legal advice and professional way you have handled our Gas Company business dealings. Doug reviewed our Lease, Surface Use agreements and Subsurface Easement and our Temporary above Ground Water Line agreement with us to enable us to understand thoroughly, then contacted Chesapeake and arranged changes to meet our requests and needs. Our phone calls and emails were always answered promptly, and all questions were treated with priority. We were kept updated on the status of our business at all times. Doug, Marceea, and Vanessa were so pleasant and knowledgeable that it made it a pleasure to do business with them. We would highly recommend the Clark Law Firm to anyone doing business with leases and agreements involving the Gas Companies and their affiliates.